Osmania University Time Table 2019 Candidates should note that Osmania University has announced OU Time Table 2019 for semester Regular / Backlog / Improvement examination 2018. Osmania University releases the semester wise date sheet well in advance for the candidates. Osmania University offers various UG, PG, M.Phil, PhD and PG Diploma Courses. Candidates who have applied for the exam based course in Osmania University can check the exam time table here. OU Exam Time Table 2019 is an important part of the exam and after knowing the Osmania University Degree Exam Time Table candidates can be prepared accordingly for the exam. In this page, the candidate can check Exam Time Table and Question Bank. 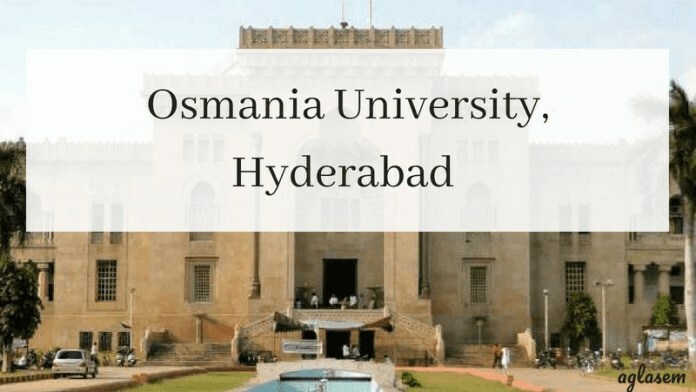 Check this page for Osmania University 2019 Time Table Dec 2018 / Jan 2019. Latest: Osmania University has released the time table for B.E (NON-CBCS/CBCS/and AICTE) Main and Backlog Examination Apr/May-2019. Also For OU Hall Ticket – Click Here. Time Table: Click Here to check Osmania University Time Table 2018. Candidates who have filled the exam form and appearing for the semester examination can download the Question Bank from the official website of Osmania University. The question banks is a set of important questions conducted by the university in the examination. The question bank is prepared by the university staff. Candidates can use the question bank for the preparation of the exam. The question available in the question banks can help in securing the good marks in the marks. After completing the current syllabus preparation follow the question banks for the practical purpose and also to know the important questions. Check the table for the question banks.